We wanted to shout out the winners of the customized Gear Live iPhone giveaway that we held a couple of weeks ago. We let three winners walk away with a piece of the action, with the grand prize, of course, winning our orange painted iPhone. Kat. She gets the iPhone, an LRG T-shirt, a couple of Monster Cable accessories, and a few LRG Monster iPhone cases. Second place went to x1xtomx1x. 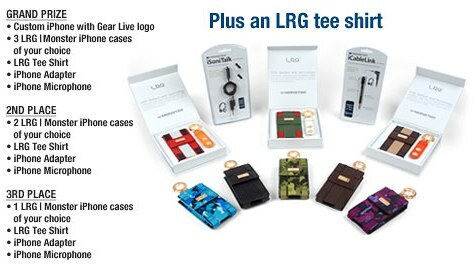 He doesn’t get an iPhone or anything, but he does get a couple of the LRG Monster iPhone cases, the shirt, and the accessories. 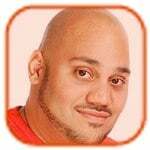 Third place went to Shan Gee, and he gets one less LRG case than x1 gets. So there you have it, the end to another Gear Live contest. Stay tuned though, we still have a bunch of stuff that we plan on giving away to your readers. You know, like Wii Fit, Microsoft Zune, etc. In the meantime, be sure you are a Gear Live member. As Gear Live member x1xtomx1x discovered and shared with us on the forums today, the Gear Live iPhone that we are giving away is actually featured in the ColorWare gallery. Very nice find. Remember, you are eligible to enter to win this customized iPhone. Check out the official rules to find out how. 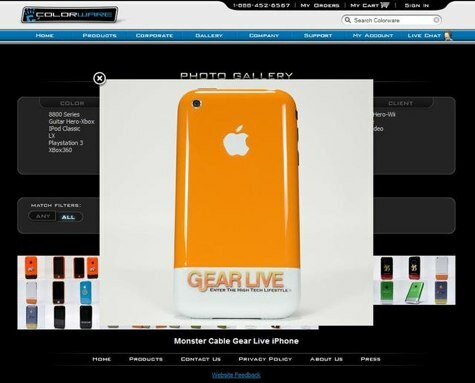 Contest: Win a custom Gear Live iPhone, LRG cases, and Monster Cable Accessories! Since our last giveaway contest went so well (and the HDX Dragon computer is on its way to our winner! ), we thought you guys might be interested in yet another opportunity to win some cool stuff from Gear Live. That’s why we are giving away a one-of-a-kind customized iPhone, along with a bunch of accessories from LRG and Monster Cable. Even better? This time, we will have three winners. Oh, and just to be clear, if you spam, you are eliminated from the contest. We are looking for people who genuinely add to the conversation across our network in blog comment posts, and on the Gear Live Forums. That means you have to be a member of the site to win, so if you aren’t already, go ahead and sign up. One last thing, we can only award the prize to a resident of the USA. If you plan on winning and you don’t live here, you’d better have a cousin or great aunt with an address in the US that we can ship your package to. A big thank you to LRG and Monster Cable for helping us out with this contest. Microsoft Office Professional 2007: That means Word, Excel, PowerPoint, Outlook, Publisher, Access, and Accounting Express, all in one package. Retail value on that is $225. Okay, interested? We thought so. If you want to see everything in more detail, check out our HDX Giveaway contest videos. These will give you more insight as to how the contest is going to work, a look at all of the prizes that are being given away, and a detailed unboxing of the Dragon notebook. We’ve been working on a way to recognize you readers who participate here on our network of sites at Gear Live, and we are happy to announce the launch of Gear Live Points. In a nutshell, Points are awarded to users whenever they take any sort of interactive action on Gear Live. We think it’s a fun way to spice up your daily visits to the site. You must be logged in to earn points, and you can see the total amount of points you’ve earned right at the top of all pages. We are coming up with some cool things you will be able to do with your points, so stay tuned for that. 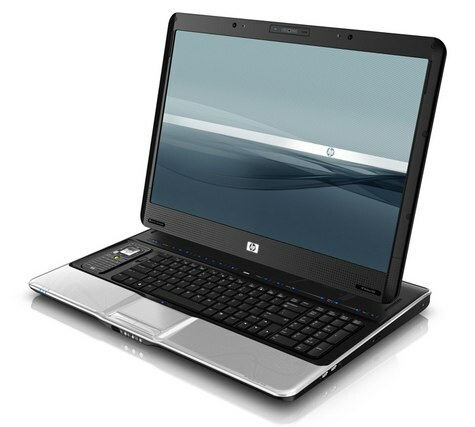 To kick off the launch of Gear Live Points, we are running a contest - our HP HDX Dragon giveaway. Good luck to all participants! NOTE: Those found abusing Gear Live Points (like posting excessive comments/forum posts that don’t say anything or contribute to the conversation) will suffer a loss of points. This policy is at Gear Live’s sole discretion. Today we have started a contest giving away an HP HDX Dragon computer package, which would be worth over $5,200 if you were to purchase it on your own, and we want to make sure you know about it. This is all part of the 31 Days of the Dragon promotion that we are a part of. We have a couple of videos that you should check out - one shows off the HDX Dragon computer, and the other gives some insight into the contest itself. We’ve been getting a lot of questions about how exactly people enter and rack up points to win, and that post will be coming later today. In the meantime, jump down to check out the videos for the scoop.